Then there are those who can pay an attorney's fee, but not a "full service" fee. Here’s an interesting idea. 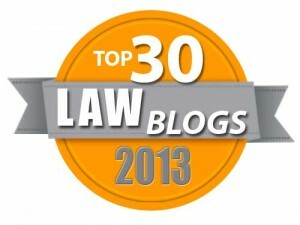 How about a non-for-profit law firm? The first response to that might be that this has been done before, but not intentionally. But the idea of a firm where no one makes partner and every lawyer earns a salary is intriguing, especially if the firm can enjoy tax benefits from serving the under-served. Shantelle Argyle is an attorney and the co-founder and executive director of Open Legal Services, a nonprofit modest means law firm in Utah. 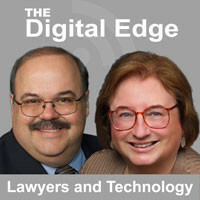 She is the guest on the Digital Edge podcast for the episode Low Bono Legal Services: Working to Provide Access to Justice. We also discuss what’s different about today’s legal services consumers and how these differences affect access to justice concerns. There is another development in Oklahoma related to access to justice. One way to lower the costs of legal services is for lawyers to assist those who want help in a limited way. One common example is that of a lawyer who prepares all of the court documents for a simple uncontested marital dissolution and had the client and opposing party execute all of the documents in the lawyer’s office. By providing the client with a good set of instructions on what to do at the courthouse to appear before the judge pro se, the lawyer can avoid the scheduling and time spent on the court appearance and charge the client substantially less. While Oklahoma Rule of Professional Conduct 1.2(c) has for a long time allowed the lawyer to provide limited scope services, this authority was not used widely because of long-standing questions about so-called “ghostwriting.” Some attorneys and judges see lawyers preparing pleadings for self-represented litigants as a useful idea to lower the costs of some routine legal services. Others were concerned about a lawyer drafting a pleading without disclosing their participation. So a primary issue was disclosure of lawyer assistance. A lawyer providing limited scope representation under Rule 1.2 (c) of the Oklahoma Rules of Professional Conduct may draft pleadings or other documents for a pro se litigant to file with or present to a district court without the lawyer entering an appearance in the matter. A lawyer shall disclose such assistance by indicating their name, address, bar number, telephone number, other contact information and, optionally, a signature on said pleading or other document with the phrase "No appearance is entered as counsel of record." So lawyers in Oklahoma have clear guidance. A lawyer can assist someone by advising them about their litigation, as lawyers have always been able to do. But if the lawyer prepares any document to be filed with or presented to a court, they should disclose their participation in writing to the court as indicated. As they say, however, the devil is in the details. So for those Oklahoma lawyers who wish to provide services in this manner, the OBA is going to provide a live seminar and live webcast on August 18, 2017 titled Delivering Limited Scope Services Effectively and Safely. (It is not limited to Oklahoma lawyers, but will be focused on Oklahoma procedures related to this new rule.) UPDATE: Lawyers can now register for the live seminar here and the webcast registration link will be up soon. Some will criticize Oklahoma for going too far and others will criticize Oklahoma for not going far enough. But whether it is an uncontested marital dissolution, preparing exhibits and outlining the process for a small claims proceeding or helping someone prepare for a child support and administrative hearing, limited scope representation will provide another, less expensive avenue for people to obtain high-quality access to the justice that they need in some circumstances.